The promised child, who will be the strong and fearless judge Shimshon, is to be a nazirite from birth. This is an unusual situation; most nazirites choose this status temporarily, for a limited period. Though typically people do not take such vows nowadays, a famous exception was Rabbi David Cohen (1887-1972). 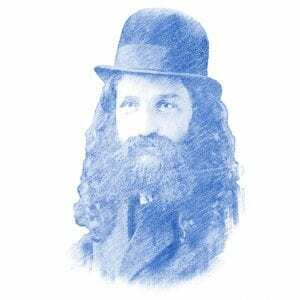 Known as “The Nazir,” ‘nazirite,’ he was a close student of Rabbi Abraham Isaac Kook, and was a nazirite for most of his life. Following his move to Eretz Yisrael, Rabbi Cohen also refused to leave Jerusalem. Along with Rabbi Tzvi Yehuda Kook, he was brought by his students serving in the Israeli Army to the Western Wall shortly after its liberation during the Six Day War. When secular Israeli soldiers saw Rabbis Cohen and Kook at the Kotel in the midst of the war, they gasped and pointed, assuming the two saintly rabbis were none other than the Mashiach and the Prophet Eliyahu. The Nazir of Yerushalayim was a reminder of the holiness that special people can achieve, even today.